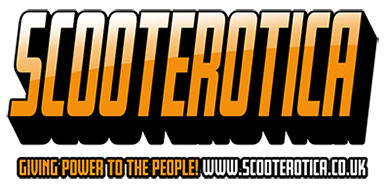 I know 12 volt electronic ignition is recommended, but just curious to know if anyone is running a kitted scooter, still on original 6 volt points system, and if so, does it run okay? Reason I ask, is that I have a standard LIS 150, still on 6 volts,for which I have bought a Casa 185 kit, as I want a little more top speed. 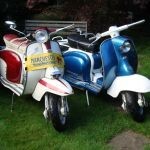 I know that I should upgrade to 12 volt, but I am reluctant to do away with the scoots originality! Suppose I should have thought it through more before I bought the kit! Obviously, many will suggest you change to electronic ignition, but the reason for doing so ("reliability") is beyond a joke, considering all the issues that have been reported on the Forums. A 12 volt stator with points ignition & a nice, lightweight J range flywheel makes them a pleasure to ride. The original Casa kit was designed for upgrading a standard bike without changing carbs pipes and keeping a fully working 6v system shouldn’t be a problem. Thanks for replies guys. Think I am going to give it a go and see how she goes!